← THE FREE MAPLE LEAF DESIGNS ARE NOW AVAILABLE FOR DOWNLOAD. I am sure that many of us are very proud Canadians and would love to be in Ottawa this weekend to take part in the fabulous Canada 150 Sesquicentennial celebrations. However, for many of us, this is not going to be possible. But many festivities are planned across the country so DO enjoy these and bask in a moment of Canadian pride!! 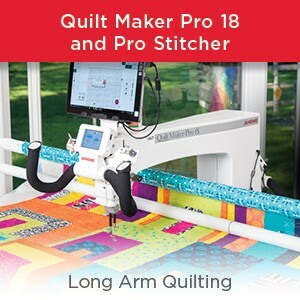 As many of you are aware, there have been many and varied projects on the go for many months to celebrate this event using our combined sewing and quilting talents. Of course, we have our lovely Canada 150 sewing machine – the Limited Edition M100 – which is still currently available for purchase should you feel suitably patriotic. 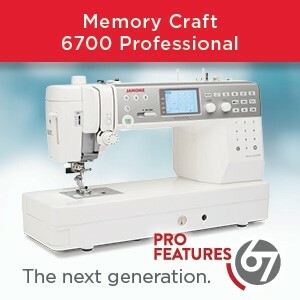 Isn’t this machine just pretty and perfect for commemorating Canada’s 150th AND sewing at the same time?? And the cute little pincushion on the top is included! 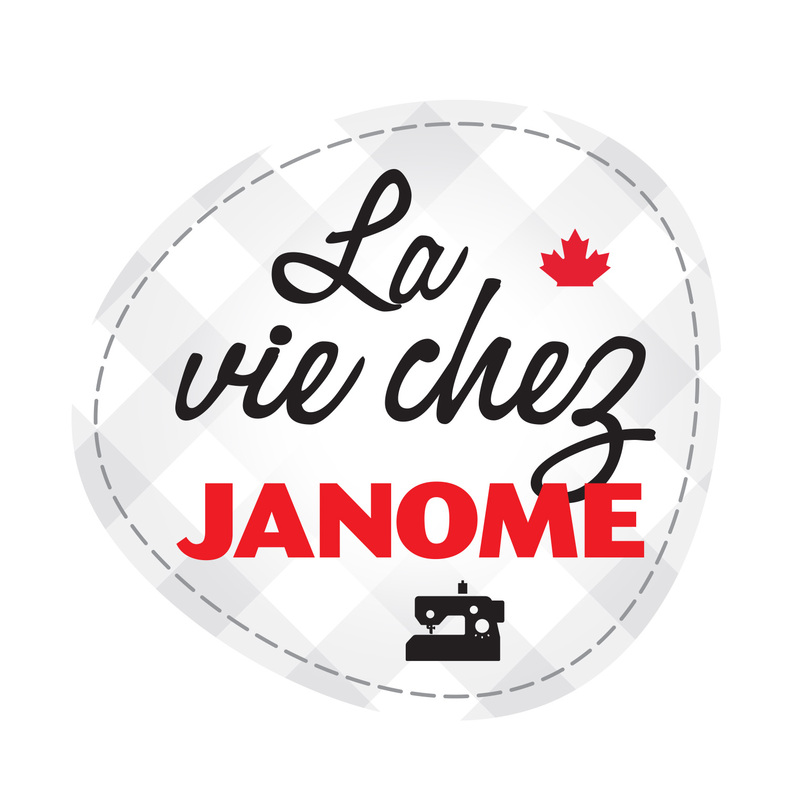 Please contact any local Janome dealer across Canada who will be able to assist you with further information and pricing on this machine. We have a Dealer locator on our home page: http://www.janome.ca > top right corner. One of the Canada 150 projects that I made was a table cloth which I entered into the Fabric Challenge at Haus of Stitches, Humboldt Saskatchewan. Wendy, our dealer in this area, hosts the Saskatchewan Stitches Conference each year. This year was a big one……it was the 15th anniversary of the Conference so she decided to combine her Fabric Challenge with a Canada 150 theme. She did not want to limit us at all so she chose a cream solid cotton/linen blend fabric as the Challenge fabric and all we had to do was put a little maple leaf somewhere on the project. I went all out last Fall in a burst of patriotic zeal, and purchased a bunch of Canadian fabrics – some of it was 2 panels with blocks showcasing various cities across our beautiful country (see above). I cut these panels up and sewed them all together in rows with sashing and borders using the cream Challenge Fabric from Haus of Stitches. I chose NOT to use batting as I wanted a lightweight, soft/draping end result so that it could be used as a table cloth in my new home (which I moved into a few months back). I decided I did not want a quilt on my diningroom table! Simple, elegant and it sure served a patriotic purpose for my family and I. No, I did not sew skew! It is how it was hanging when I photographed it. These designs are now available for free download on our website – full instructions on the blog post earlier this week on 26 June 2017. What Canada 150 sewing have you been busy with? Travel safe and enjoy Canada Day 2017!! 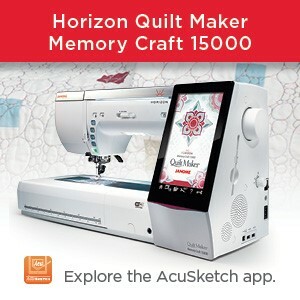 This entry was posted in Creativity and tagged Canada 150 celebrations, Canada 150 table cloth, Haus of Stitches, Janome Canada 150 Limited Edition machine, Janome creativity, JANOME PROJECT IDEA. Bookmark the permalink. 2 Responses to HAPPY BIRTHDAY CANADA!!!! Where in montreal you have a dealer that can train on Janome MC 15000 please?? I am thinking of buying one but I need to make sure I can be trained on it . Please consult the Dealer locator (top right corner) of homepage on http://www.janome.ca. We have several dealers in your area and Im sure one of them would be happy to assist you.